Let's dive in to more news from Day 4 of the Game Developers Conference, such as Microsoft's answer to the Stadia announcement. The Game Developers Conference (GDC) 2019 continues to push out important news by the day. Wednesday night included an awards ceremony, where a familiar face in 2018 gaming took the stage to accept a second major accolade, and Thursday continued the drama of the store war between Valve's Steam and Epic's Epic Game Store. Not to be left out of the loop, Microsoft countered Stadia with its first detailed look at Project xCloud development. The Game Developers Choice Awards (GDCA) aired on Wednesday night and venerated some of the top gaming titles of 2018, including God of War, which won GDCA Game of the Year. 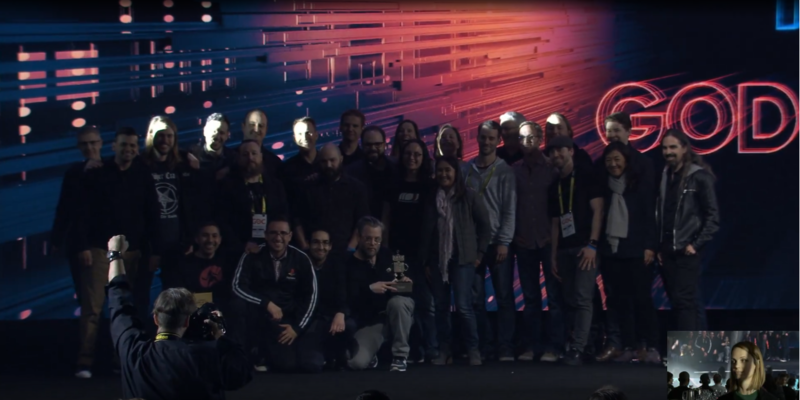 The Sony title leveraged its captivating storyline to add to its Game of the Year award from the Game Awards in December of 2018 (image from GDCA presentation). To see the full GDCA ceremony, see GDC's official Twitch page. Amid the store wars between the Epic Games Store and Steam, Valve announced steps to improve its venerable store-front at its Steam Business Update at 3:45 pm ET on Thursday. The first of these improvements is an upgrade to the Steam Library page User Interface (UI), which will now include more advanced tagging, allowing users to view tags on the Steam Library page. Additionally, users can now search their library by tag and save these searches with a custom title for quick access (image from Polygon). 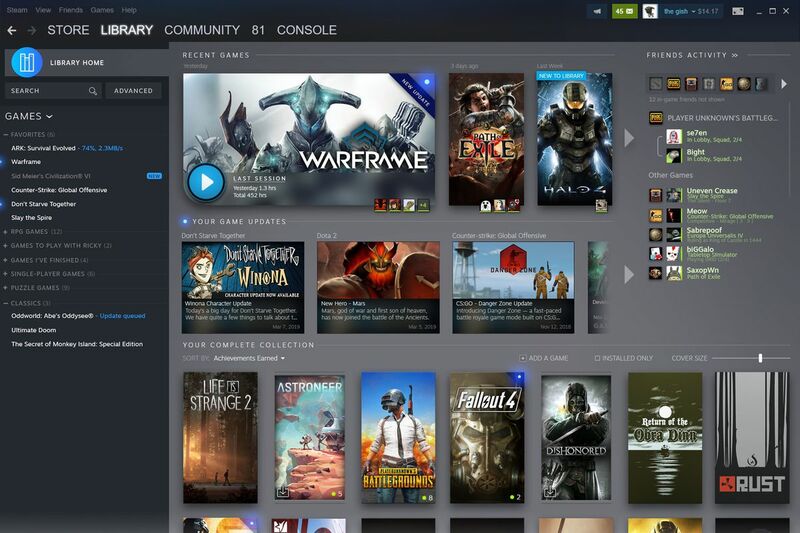 While Valve did not publicly disclose a specific launch date for its new library view, Valve told PC Gamer it plans to beta test these features in the summer. Lastly, Valve also announced that it would include socialization in its Steam platform. This feature will allow developers to notify gamers of events from the Steam desktop and mobile applications, as well as through personal calendar applications. Socialization marks a big leap forward in bringing developers and players closer on Steam and hopefully, the competition between Steam and Epic lead to move advancements on the veteran game store. While the release of the Epic Games Store has brought about some much-needed competition in the store-front market, Epic has had some trouble not stepping on the toes of consumers in its march towards supremacy. Despite this, Epic has made some significant headway against Steam, which has enjoyed commercial dominance for some time. One of the ways that Epic has been able to do this is by spending money for exclusive rights to games. I don’t think we plan to [pay for exclusivity] forever. I expect that we’re already seeing the ecosystem come to life, from a sales and users perspective. As the war of the stores heats up, both Valve and Epic will have to walk a tight-rope to ensure the satisfaction of an already-fed-up customer base. In the end, though, the competition is very welcomed and has already driven both Valve and Epic to innovate the relativity stagnant store-front market. For more information, see The Verge's Epic Games Store chief says they’ll eventually stop paying for exclusive PC games. With Google's announcement of Stadia on Tuesday, Microsoft has been on the hot seat to reveal its new game streaming service: Project xCloud. During its Project xCloud Session at 1:00 pm ET on Thursday, Microsoft explained how developers could create new games and port existing games to Project xCloud. At its heart, Project xCloud will use Xbox One blades in the cloud to run games, which means that developers who have natively developed for Xbox One are already familiar with the platform, and additionally, games that have already been developed for Xbox One hardware can be played through Project xCloud without modification. If a game is not modified, a default set of glass-controls are used on the device to which the game is being streamed, but Microsoft does not recommend that developers simply accept the default the controls. 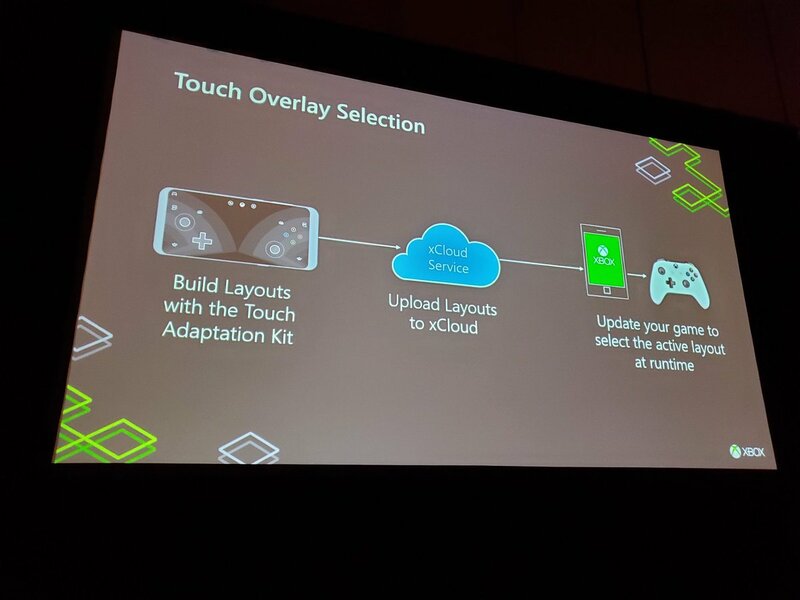 Instead, Microsoft has made xCloud device-aware, where a game can recognize that it is being played on a phone (rather than an Xbox) and adjust the on-screen controls accordingly. Additionally, the xCloud Software Development Kit (SDK) includes the capability to dynamically change the controls of the game depending on the context. In the same vein, the xCloud SDK also includes functionality to allow the developer to recognize that his or her game is being streamed and adjust the game accordingly. This is important for games where progress may not be savable at any point (such a game that requires the player to reach a certain checkpoint before saving), but where disconnection can wipe-out a player's progress. Using the xCloud SDK, a developer can handle this disconnection and pause or save progress accordingly, while not affecting the standard gameplay mechanics. There were also a host of other SDK features that were displayed, all of which can be found on Russell Holly's Live Tweet of the event. While Stadia captured the attention of the media, it appears as though Microsoft is pushing back with its intimate knowledge of the gaming community (recognizing that platform awareness and intuitive controls are essential) and its vast library of existing Xbox One games, which can be moved directly into Project xCloud without the need for intricate modifications. After the conclusion of the week, we will revisit the major announcements of the week—and take a look at what they mean for the world of software—in our review article early next week.